GREAT TRAINING MAKES A GREAT WORKFORCE. Your people are your greatest asset. Train them well. Our easy to use content creator allows you to quickly and painlessly publish engaging content. View courses easily on your computer, tablet or mobile device, thanks to our fully responsive design. Provide an active learning experience for your users using our easy to build interactive learning modules. 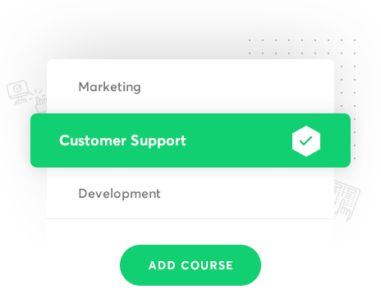 Build micro-learning courses easily with our drag and drop builder, designing bite-sized pieces so your users can learn and retain more. Deliver content directly to communities of users, and monitor their progress. 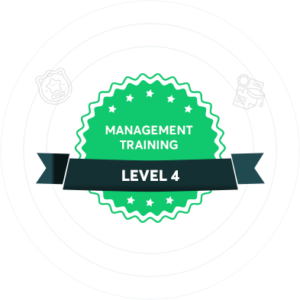 Using digital badging as well as certificates, our platform allows your users to share their successes in learning with others, both within the organization and online. Promoting their expertise externally strengthens your organization and shares your dedication to improving their careers. Imagine a world where corporate training content is powerful, compelling, holds your (short) attention span, learns how you learn, and is delivered in bite-sized (ie: five-minute) chunks that adapt to your learning style dynamically.